Our federal government is engrossed in yet another budget showdown between Republicans and Democrats. Since the heady days of the 1990s, when our federal government actually ran budget surpluses (if you can believe that), the federal government has been running budget deficits that grow larger and larger each year. Periodically, the deficits reach the level of our nation’s debt ceiling. At this time, the government may not legally borrow any more money unless the debt ceiling is raised by Congress. This is the situation the federal government will be facing in October. In the midst of all the political posturing that takes place when the government engages in these debt ceiling battles, something important is often overlooked: the reason why our federal government is so deep in debt in the first place. And that reason is simple: Our government spends far more money than it raises in revenue. A CFO looking at this situation might say that when it comes to budgeting and spending, our federal government has things backward — they are planning-to-budget, instead of budgeting-to-plan. In other words, the government makes spending plans that don’t take into account how much money is actually available to spend. If there isn’t enough money to cover spending, they assume the money can just be borrowed, but there’s no real plan for how much will have to be borrowed and how/when it will be repaid. “We’ll just raise the debt ceiling when the time comes,” seems to be their attitude. As far as actually repaying the debt, our government leaders seem to think repayment can be pushed into the future indefinitely with no real consequences on our nation’s economy, either now or then. If our government officials practiced this kind of financial management in the private sector, our nation’s private businesses would not be nearly as healthy as they are — and the officials would be fired from their private-sector jobs very quickly. But private sector business leaders sometimes operate their business’ finances in a similar way. Do any of these scenarios look familiar? A company has an opportunity to increase its market share and sales volume considerably by acquiring a major competitor, but doing so will require assuming a large amount of debt. A company has an opportunity to land a major new client, but doing so will require buying some very expensive new equipment that will have to be financed. A company has an opportunity to fill a very large order, but doing so will require purchasing a large volume of inventory that will have to be financed. In each of these scenarios, the executive is concerned about the risk of assuming a heavy debt load and what this might mean to the company’s finances and its long-term viability. But he decides to move forward anyway so not miss to out on “the business opportunity of a lifetime.” Or in other words, he decides to plan-to-budget, instead of budget-to-plan. Budgeting-to-plan is really fairly simple: It involves planning and making spending decisions based on the business’ current and projected budget, rather than solely on the potential opportunities such spending decisions might yield. It takes into account the true costs involved in these decisions and their impact on the company in both the short and long term. And it acknowledges that resources are limited for every business, so business leaders must make choices — they can’t have it all. How much working capital do they have to meet daily operating expenses? How much available funds are parked in liquid business savings accounts? What is their projected revenue over the next one, three and five years? What is their current debt load? How will they service any new debt? Sometimes, it can be hard for business leaders to make budgeting-to-plan business and financial decisions. There are so many opportunities, and they want to take advantage of them all. This is where an outsourced CFO services provider can help your clients. Such a provider can offer an objective analysis of the various opportunities and their associated costs, and help executives make responsible financial decisions that are based on realistic budget and income forecasts. The current federal government debt ceiling battle is not dissimilar to situations faced by business leaders every day: how to spend limited resources on what may appear to be unlimited opportunities. The key to meeting this challenge is budgeting-to-plan, instead of planning-to-budget. Or in other words, making decisions based on a business’ current and projected budget, rather than solely on the potential opportunities such decisions might yield. 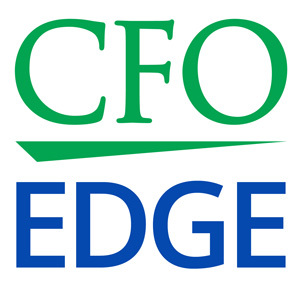 An outsourced CFO services provider can help your clients budget-to-plan by offering an objective analysis of the various opportunities and their associated costs.